I have had the roughest time getting back into reading after a busy non-reading month in June. I read “A French Wedding”, which I was excited about, but ultimately felt disappointed by it. Then I picked up two other books after that, only to put them down after a few chapters. We follow Alli Rosco after her escape from the orphanage she has lived for as long as she can remember. But her escape isn’t as smooth or as well planned out as she hoped and she finds herself suddenly hit with a deadly curse and looking for help from the legendary Guild of Thieves. 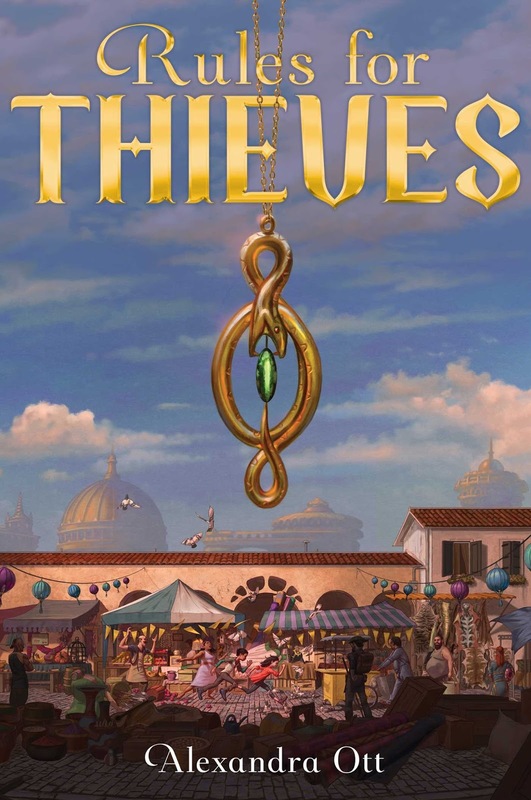 Alli begins to learn all the rules a thief needs to follow to be successful, but it turns out to be more complicated and dangerous than she thought. What I wanted was a little more world building because the world is so interesting to me. There is a magic system that doesn’t get a lot of explanation and their calendar year runs on a different schedule that I would have loved to understand. This is book one in a series, so I’m really looking forward to more information in the following books. I liked the direction this story took in the end. It wasn’t quite what I was expecting (which I love) and I found that while some of the situations seemed to be solved simply, the stakes were a lot higher for other situations. I also liked following Alli’s character arc. Most of the time I wasn’t her biggest fan, but I like the direction she’s heading even still. Absolutely looking forward to the next book and all the promise it holds after the way this ended, absolutely recommending this read to middle grade readers, and high five to @littlelitjoy for picking a great read. Got me right out of my reading slump.